Freelance writer Chloë converted to life in the Lowveld after growing up in Cape Town where her career in travel writing began. 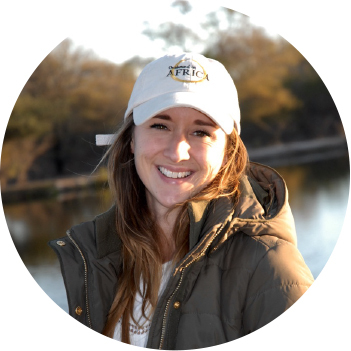 Working in the safari industry took Chloë to some of the continent’s most untouched areas, and she soon became an avid camper, bird watcher, mokoro cruiser, and gorilla trekker, who translates her experiences into stories. 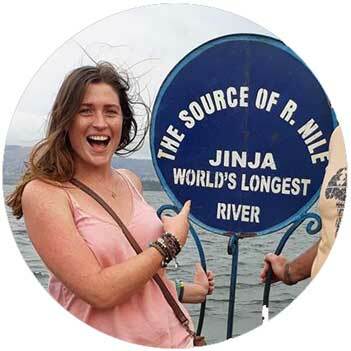 Over the years, Chloë has trundled through most of South Africa, Botswana, Namibia, Zambia, Victoria Falls, Mozambique, Malawi, and Uganda, and here’s hoping the list keeps growing! This is where you will find destination reviews, travel ideas, safari suggestions, and tales of the African wild, written from experience and with passion, to entice travellers from all over the world. Scottish-born Lucy moved to South Africa in 2007. Trained as a chef, she traded the kitchen for the stables when she volunteered at a lodge specialising in horse riding safaris in the Greater Kruger area. She was well and truly bitten by the African bush bug and went on to manage an exclusive lodge in Thornybush Nature Reserve. Following the call of the wild, she freelanced all over South Africa and Botswana as a relief manager and chef. She’s built up an incredible range of experience and knows just what guests expect on the hospitality front. She has fantastic working relationships with a number of lodges in Botswana and the Greater Kruger area. Super organised, she handles all enquiries, reservations and logistics for our clients. South African born Marnus began his career in the world-renowned Sabi Sands Game Reserve in the Greater Kruger National Park. 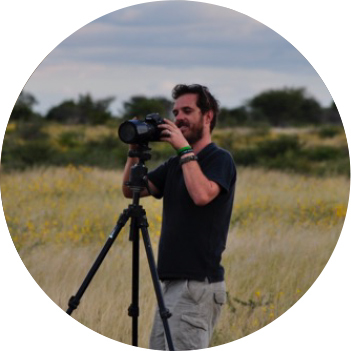 With qualifications in game ranch management and Eco –Training, he has worked in South Africa’s Timbavati and Klaserie Nature Reserves as well as the wild expanses of Namibia. Four years ago, he moved to Botswana where he developed a special relationship with its wild lions through his NPO, Walking for Lions. His experience with reserve management, guiding and conservation issues in Botswana and South Africa means he has worked with a number of lodges that combine tourism with ethical conservation practices. Passionate about our wildlife, he ensures that our clients stay at places we trust.